Best iPod & iPhone File Browser and File Manager App. iOS File Manager is the best free file browser and file manager app for iPhone & iPod touch users to manage files as using Windows Explorer, play music, watch videos, open documents, view images, encrypt folders, easily search and share files and more. This new-born fantastic iOS file manager application is free. Once download, free lifetime use! If you have many files in your iPhone or iPod touch and you feel like having no ways to manage them, you should try this wonderful free file manager app for iPhone and iPod touch, it will make your i-devices more user-friendly than ever. The iPhone file explorer shows all of your iPhone or iPod touch folders in one operating interface, so browsing and managing them will be of great convenience. This free app is a gift from Leawo Software, even though it is free, it has all the powerful functions of iPhone and iPod touch file browsing and managing as you ever wanted. The main characteristic of this app is the iPhone and iPod touch file management function. After you import your iPhone files into this iPhone file browser, the app will show all the files when running, whatever the file formats are. You are able to browse files directly in this app, switching among apps frequently is of no need. If you want to delete files, you may just delete them in the app, and it is easier than doing so in your iPhone or iPod touch folders. The files are saved in directory mode, and this mode is like the Windows Explorer and Mac Finder. So browsing iPhone files will be of much pleasure with this app. You can directly browse iPhone audio files in this iPhone file explorer without the help of any other apps. 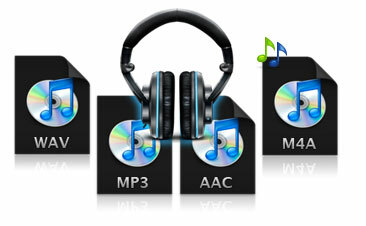 The supported file formats are: .mp3, .m4a, .aac, .wav. You may have some audio files of other formats in your iPhone or iPod touch, don't worry, third party apps for browsing these files are allowed to use with the "Open In" function in the file manager for iPhone. This iPhone file manager allows you to switch between list mode and one-by-one mode to choose your favorites, and it will be helpful when you are listening to music. You are allowed to browse iPhone video files in this iPhone file explorer with the supported video formats: .mov, .mp4, .3gp, .mpv. Videos in other formats are not supported but you can open them through a third party app with the "Open In" function of this app. This iPhone file viewer allows you to adjust the video files to fit in the screen. The videos will play just as well as your original downloads. 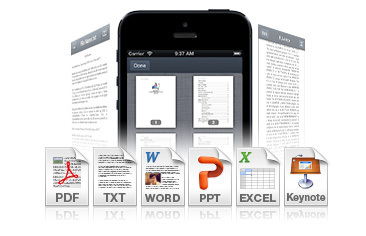 Document files with the following formats can be opened directly in this app: .pdf, .txt, Word (.doc, .docx), Excel (.xls, .xlsx), PowerPoint (.ppt, .pptx), Keynote (.key), and webpage (.html, .htm). Browsing Microsoft Office documents on iPhone used to be a problem, but with this app you will feel as easy as reading them on a computer. 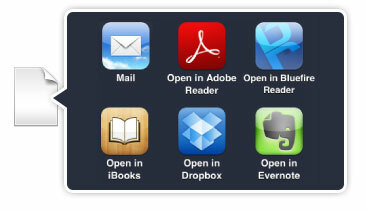 With the "Open In" function, a third party app is allowed to browse the files of other formats in the iPhone document viewer. What's more, adding bookmarks and managing them are allowed in this app, so you don't have to worry about reading being interrupted any more. You may have many beautiful photos and images in your iPhone, you can view these images with ease by using this iPhone files viewer. The supported image formats are: .jpg, .jpeg, .png, .gif, .bmp, .ico, .tif, .tiff, .cur, .xbm. With the "Open In" function of this app, you are allowed to browse images of unsupported formats in other third party apps with this iOS file explorer on. The images can be shown either in single patterns or thumbs, and the qualities of the images are just the same as your originals, you are also allowed to manage these images while viewing. If you want to share files in your iPhone with your friends, an E-mail is absolutely needed. This app provides a function of sharing files via E-mail. When your E-mail is logged in, files can be copied into your outbox as attachments when you tap "E-mail" in this app. Therefore, iPhone files' sharing won't be difficult. 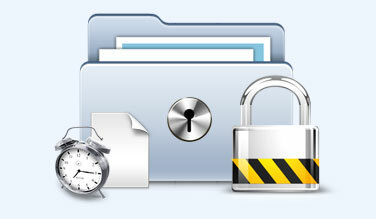 You are permitted to share files with an online storage service like Dropbox, or other third party apps. With "Open In" function, you can use other third party apps to browse files with the iPhone file browser on, and it will be helpful when a file format is not supported in this app. You are able to set passcode for the file manager app to protect the files inside. If you have put important or private files in the file manager, the function of setting up passcode will keep your files safe. Once you have set up the passcode for the app, anyone who wants to enter the app will have to type the passcode. 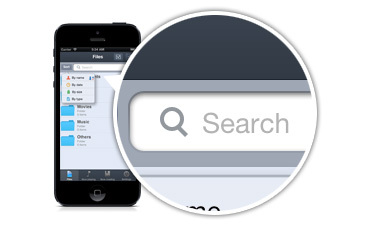 This iPhone file manager helps you to find the file you want immediately. Type the name (part of the name is allowed) of the file into the search column, then tap the search button, the app will find all the matches for you with little delay. To the left of the searching column is the "Sort" button, you are able to sort out files in the order of name, date, size and type. 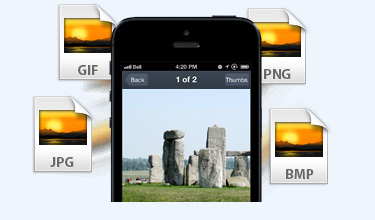 You are able to delete, copy or move files in batch with this iPhone file manager. Click the "Select" button (a tick in square) on the upper right corner to select files. You are able to select all files with the "Select All" button at the left bottom, or select certain files by checking them. 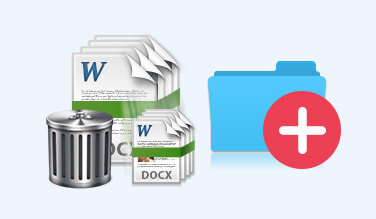 After selecting files, you can delete, copy and move these files with ease. If you only choose one file, you are also allowed to take a look at the property of the file. You can click the "Create" button (a plus button) on the upper right corner to create folder(s). Creating folder(s) in the main directory and creating subfolder(s) in each folder are allowed.